Shimano compatibility charts come in handy for assembling your bicycle, planning purchases, or troubleshooting. We have included their compatibility charts from 2014 here. The biggest changes of the 2014 model year are the Ultegra 11-speed groupset, and the flexible rear derailer options for 10-speed models. 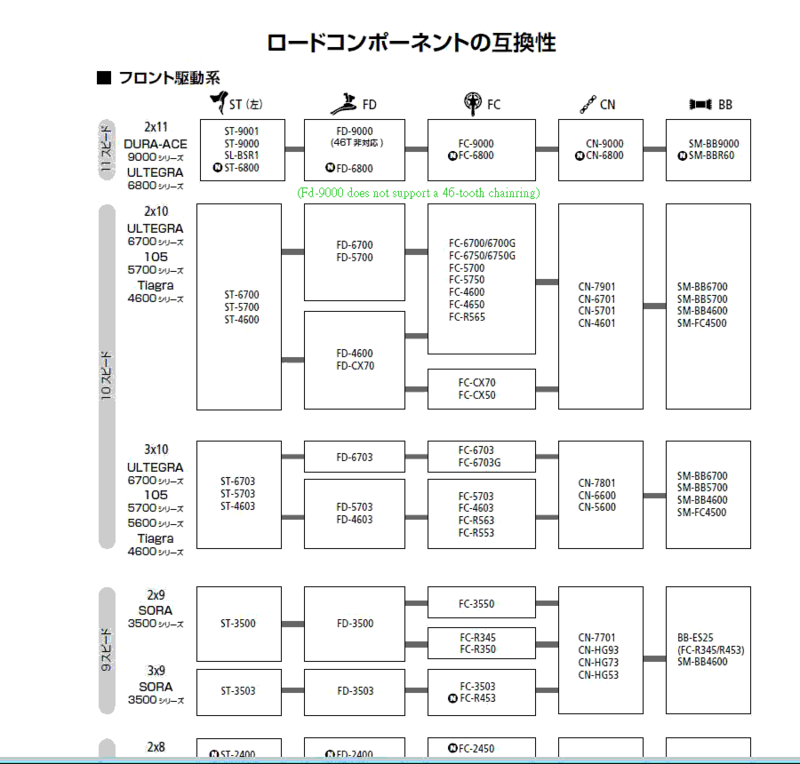 The 2014 charts were sourced from Japanese documentation, but language ability isn't critical to understanding them. Just follow the lines. Some translation provided. 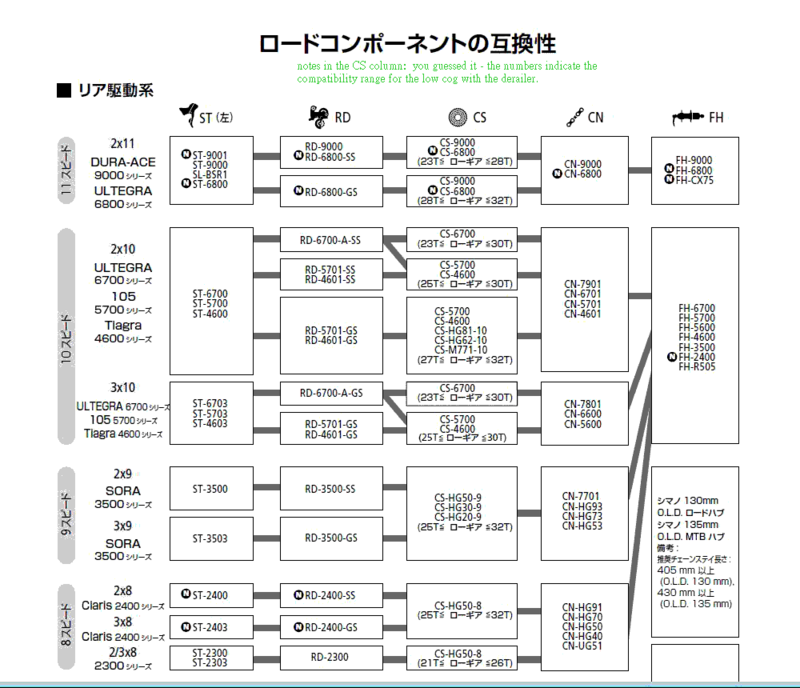 The following compatibility chart was provided as part of Shimano Specifications released in Aug. 2014. Shimano has introduced 11-speed Ultegra groups, both mechanical and Di2 electronic. There is a movement away from compact cranks and toward a rear derailer design with greater capacity to handle low gears. 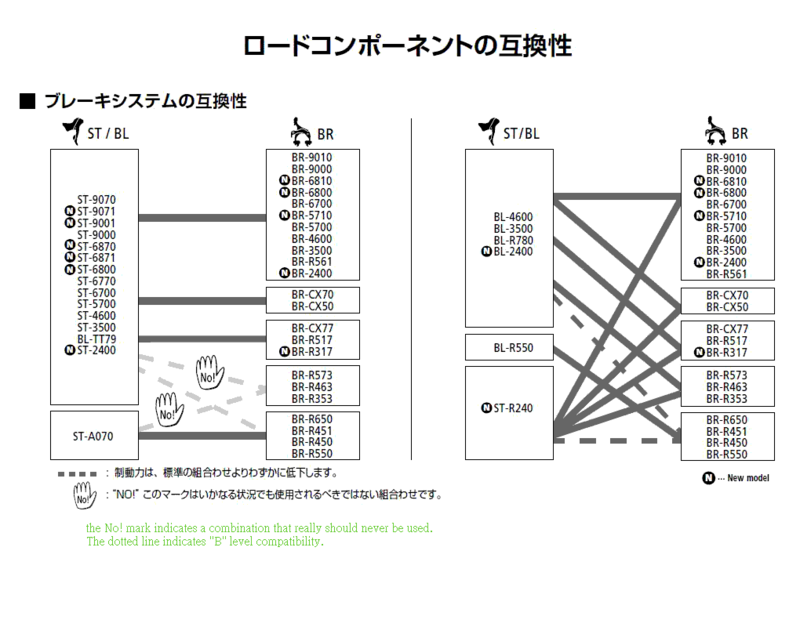 The 6800 (Ultegra) series and 6870 (Ultegra Di2) are announced. 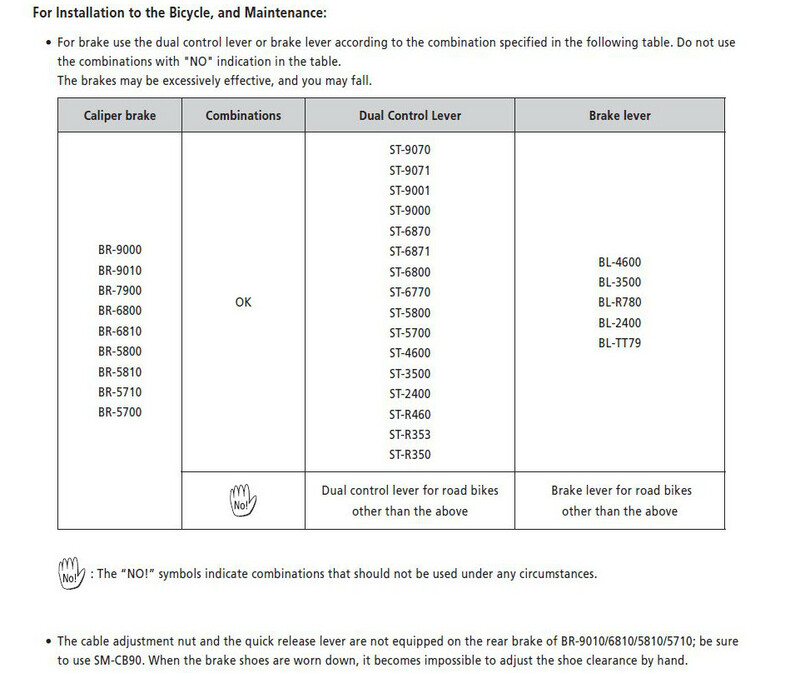 Though compatibility charts show no connection between the new FH-9000 or FH-6800 rear freehub and older 10-speed components (cogsets etc. ), it has been set up so that 11-speed hubs are reverse compatible, via a 1.85-mm spacer, so your 10-speed cassette can be used with them. Since the 11-speed cassette is wider though, it will not fit on 10-speed hubs. Possible exceptions with some hub manufacturers who have created them with 11-speed in mind.